A while back, some steamdb changes revealed that Sid Meier's Civilization V will probably be available for Linux. The official confirmation came today, when Aspyr Media announced that the game is finally available for Linux (via Steam). "The SteamOS release includes all Civilization V DLC and expansion content, including Gods & Kings and Brave New World". The announcement states that this release targets SteamOS on current gen hardware and that they're working on supporting Ubuntu 14.04 as well as additional video cards in future updates. "Don't meet the above requirements? Running on Ubuntu? That doesn't mean your configuration wont run Civ V, it just means we have not tested and vetted your configuration. Visit the Civilization V community page to share your experience with other Linux players and learn about how to send bugs to Aspyr. Your feedback will help us improve Civ V Linux and future AAA Linux releases". It's also important to note that unlike The Witcher 2: Assassins of Kings, Civilization V for Linux is a native port and doesn't use any wrappers. 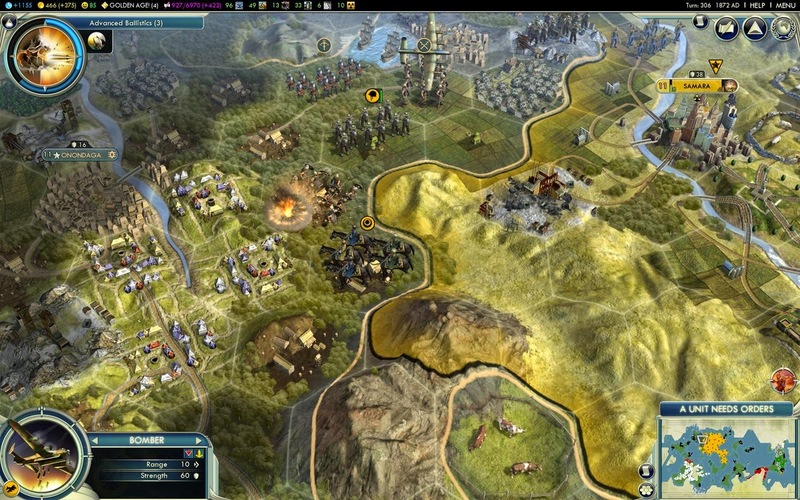 Sid Meier's Civilization V is a turn-based, strategy video game in which the player is the leader of a nation or ethnic group and must guide its growth over the course of thousands of years. The game is developed by Firaxis Games and published by 2K Games and Aspyr. The Sid Meier's Civilization V normally costs 29.99€ / $29.99 / £19.99 but there's a special -75% off promotion right now so hurry up and buy the game if you haven't already: web link | Steam app link.